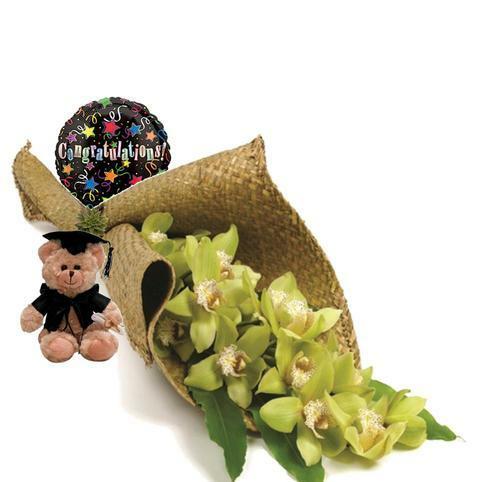 A perfect Graduation gift of a long-lasting orchid in a flax kete wrap, together with the cutest Keepsake Graduation Teddy Bear, and Congratulations Graduate Stick Balloon. Celebrate capping with these lovely flowers for graduation. PLEASE NOTE: Orchids are in Season from End May - October. 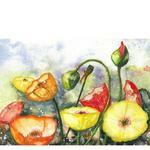 When orchids are not in season we will substitute flowers for a kete wrapped bouquet of seasonal flowers. If you have a preference then please do get in contact with us to discuss the options in store on 09 838 9058. 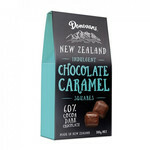 New Zealand Made by Donovans - Chewy Caramel Squares covered in 60% Dark Chocolate - Yummy! 180g box.